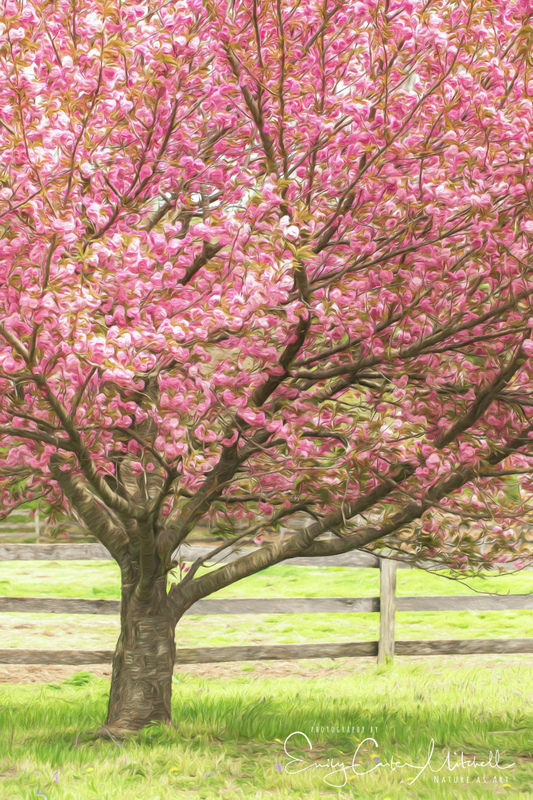 Spring has sprung and all of the flowering trees are bursting with color. 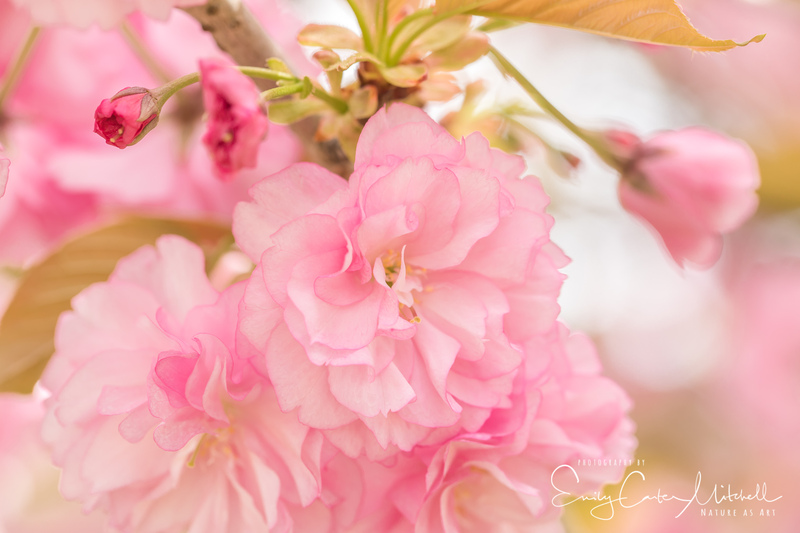 One of my favorites is the Kwanzan Cherry tree, which surprisingly I’ve never taken the time to photograph one. Driving over to the barn I spotted many of them and tried to pick one that would be the best one to work with on my way home. When I arrived to play with the horses realization hit that there was actually one of them there. After doing my barn duties, I pulled out my camera and 100mm macro lens and began photographing the tree. Trying several full fluffy blossoms, it was hard to pick just one as they were all beautiful. After getting close, I started to think differently. Wouldn’t it be nice to include a horse in the image? Using a shallow depth of field, I draped part of the tree over a small paddock where one was watching me. 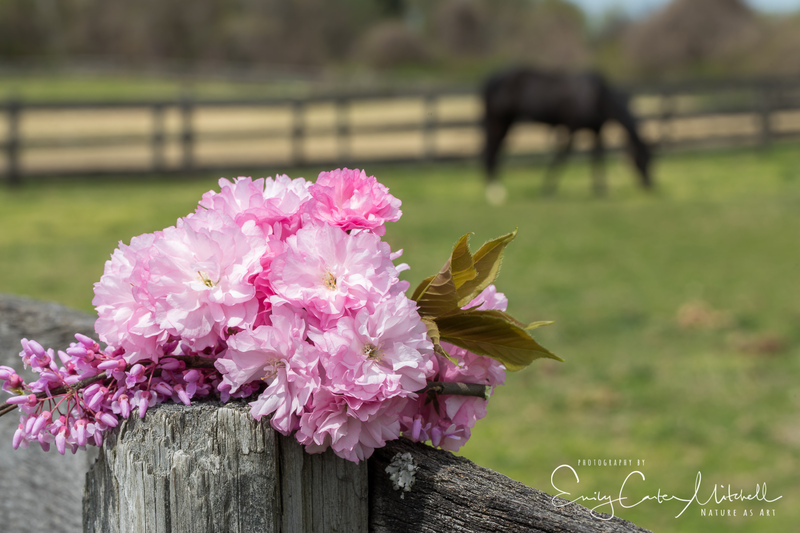 Now the creative juices began to flow and I thought to take some of the blossoms and stage them along the paddock fencing. At first, the shallow depth of field showed the horse as nothing but a black blob. So I went to f/22 and went for a deeper focus in the image. I was having great fun working the scene, but before I knew it…the horse walked over and promptly ate my props. Silly horse. So scrumptiously gorgeous! I love how you share your thoughts and process, thank you for those insights. Your photos are so beautiful. I loved the mischievous horse! Thank you so much for your kind comment Terri. It’s good to hear that my new approach to these blog posts are appreciated. Yes, Snip is full of personality. Thank you. Aren’t they incredible Andy? These bloom after the famous cherry blossom trees, so maybe you have them there as well. These are all lovely, Emily. I can feel spring looking at those gorgeous blossoms. 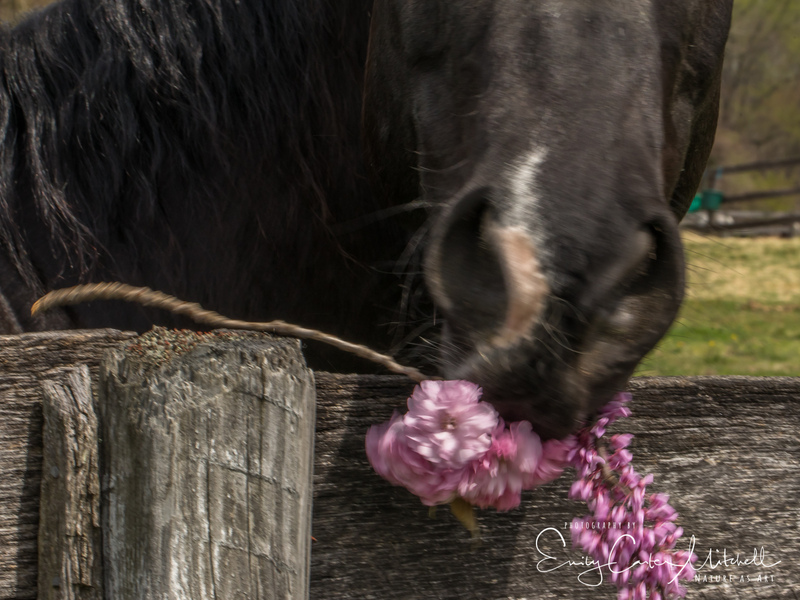 The shots with the horses are especially nice and the blossom snack was a great catch! 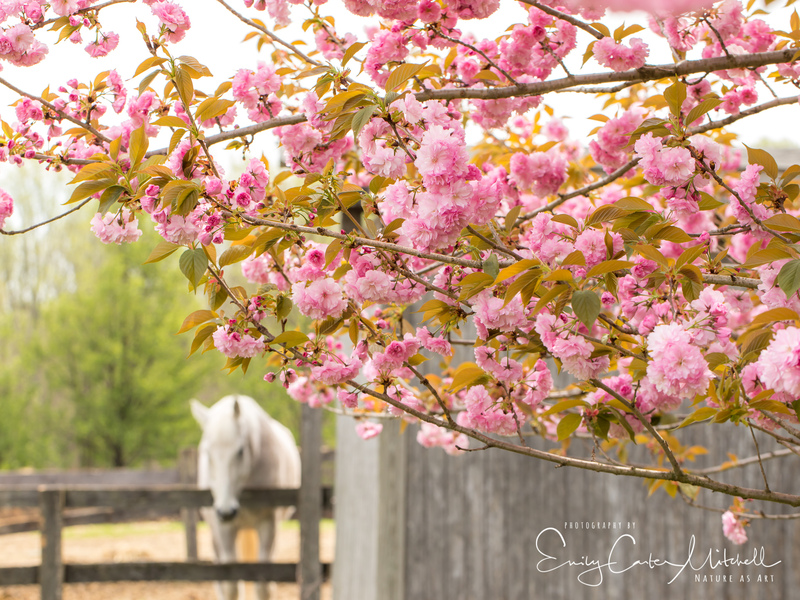 Thank you so much Ellen – Thrilled you like the horsey blossom shots. Glad my idea worked. Too cute! Horsey thought you brought a snack! LOL! Glad to see nothing gets wasted in Nature! I love that cherry blossom. Ours is a smaller white blossom and only tends to stay on the tree for a couple of weeks, especially when the wind starts blowing. My garden is now covered in confetti-looking petals! I love that when the petals cover the ground – such beauty. Thank you Fatima, and thanks for the chuckle. Magazine perfect shots Emily – these are just a gorgeous series!! You are too kind to me Mary. Thank you so much for such a lovely comment. Thank you very much Bente, and I hope all is well with you. LOL. Like the last one. No seriously: The others are just as nice and they have this nostalgic and romantic touch. Nice! That is so lovely Hike Minded. Thank you so much for your kind comment.